Ride'm Poker - Play Online - Casino Answers! Ride’m Poker from Betsoft is one of dozens of online poker games which follow the rules of the traditional poker game, with a raft of variations meant to make it more interesting. The game is wholly hosted online, with no need to download it onto your device. Ride’m Poker uses one to three hands at a time, with the rules for each hand remaining closely similar to normal poker. In this game, you compete against the dealer’s hand by guessing if the dealer’s cards contains the hand that helps you win. The game is played with the standard card deck of 52. The game begins by choosing bets using the chip denominations located on the lower right of the screen. The player must place identical bets for each of the hands they wish to play. The dealer then hands out three cards for each hand, while he deals himself two cards face down, that are known as community cards. At this point you can look at your cards, and depending on the nature of your hand, you can choose to ‘ride’ or ‘pass.’ Riding means all your hands in play while passing means taking one of your bets out of play. At this point you can look at your cards, and depending on the nature of your hand, you can choose to ‘ride’ or ‘pass.’ Riding means all your hands in play while passing means taking one of your bets out of play. The dealer then turns one of the community cards over, again offering you the chance to pass or ride. At this point you can also place an additional bet. After you have made your decision, the dealer reveals the second community card whereupon you will be paid according to the pay table. The bets range in size from 3.00 to a maximum of 33.00, and there is also a side bet which is set at 1.00. The payouts range from 1:1 to 1000:1 depending on the quality of the winning hand. The best combination is a royal flush, which gives the highest payout. The side bet has even higher multipliers with a royal flush giving a payout of a whopping 20000:1. A straight flush, the second best outcome pays out at 2000:1, which is still better than a royal flush for the main bet. Ride’M Poker comes in a compact interface that features well labeled buttons and information entries. 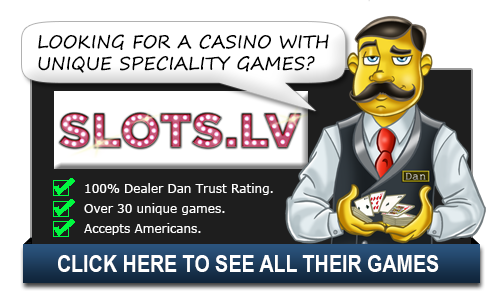 The graphics and animations show real depth that simulates the realistic look of the traditional poker game. Betsoft are respected developers of online casino games using complex 3D presentation, and that rep can be discerned in this game. Betsoft’s Ride’M platform also features great music and sound effects which combined with the fast gameplay, add to the excitement of the game. Ride’M Poker like most card games may seem complicated at first but it is relatively easy to learn the rules and basic strategy. Beyond that, becoming a seasoned player who can exploit winning chances to a maximum takes highly concerted practice. What is Ride’M Poker? How does Ride’M Poker work? Ride’M Poker rules?